We have some exciting news to share – the creative wheels have been spinning and we’ve started the process of creating for ourselves something that we haven’t been able source for Aston Baby, the perfect shoes for babies. We have a lone baby shoe. It’s just one of a pair that our daughter used to wear, that went missing on a trip to London. We kept it, just in case the other ever showed up because it was the perfect shoe for her. It fit perfectly, it matched everything, it was easy to put on, and it was cute – it was the best baby shoe. What more could a Mama want in a shoe for a baby? After staring at this lone shoe for two years and not finding the missing one (so our second daughter could wear them) or a similar shoe, we got busy making our own. We’ve been inspired by classic design and wanted to combine practicality and utility with a design that’s best for little feet. 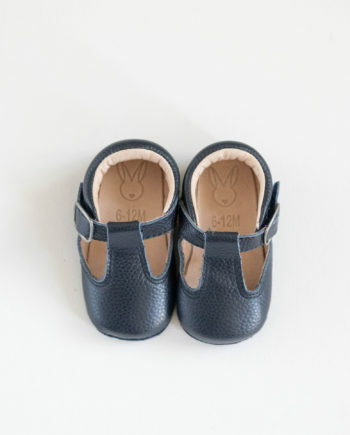 Our very own baby shoes have been in development for a few months as we’ve been prototyping and refining the design and shoe details to make them the perfect shoes for little ones. We are excited to say they are almost ready! 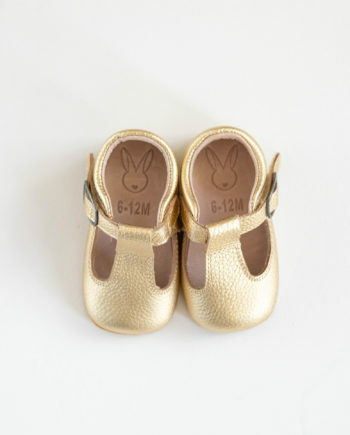 There are a few things we LOVE about these that really do make them the best shoes for babies. 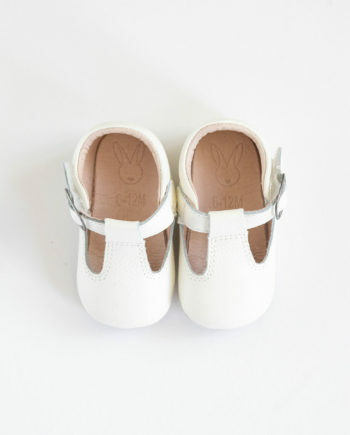 We wanted velcro as it is so much more practical than a clasp when you are putting a shoe on a squirmy baby, but it needed to be strong enough so they can’t undo it and take it straight off, we have sourced the strongest velcro we can and have had the most rambunctious babies test them. We looked at a couple of different soles, including a more structured sole and a leather sole and, in the end, we went for a flexible sole that is suede and slip resistant. There is nothing worse than learning to walk and feeling like you are on ice (at least we imagine..!). 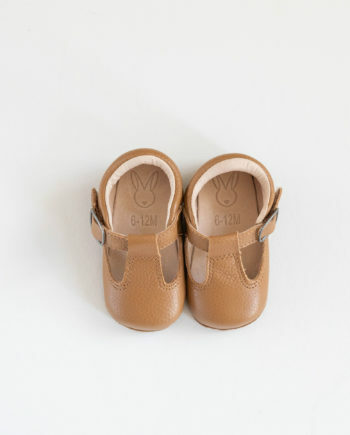 We also decided not to go for a hard sole as we focus on the 0 -12 months age group and we believe that soft soles are best for the development of a babies foot. 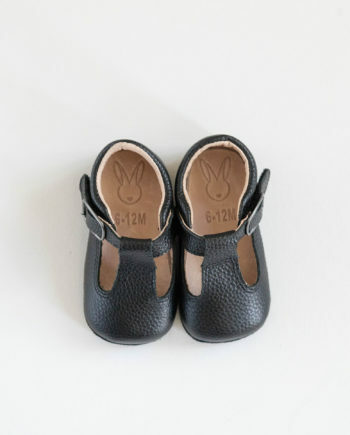 If you’re interested in finding out more on this, check out this article that explores the benefits of soft-soled shoes for babies and this piece which outlines the type of shoes that are best for babies. 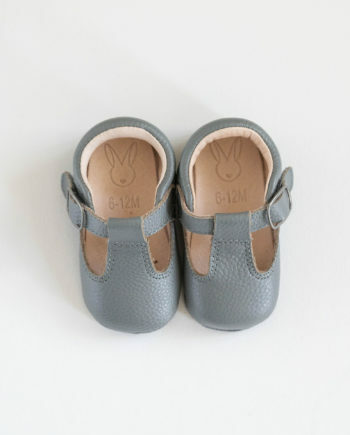 We’ve tried to follow their advice to make a great baby shoe – the sole is thick enough to prevent an ouch when stepping on a rock but soft enough to promote good foot development. We will expand the range to four colours, so there is something for everyone. Colours will be chosen to be classic and also add a spark of colour and fun to every outfit. Red shoes are always my favourite, for babes and myself, so we will make sure red is one of the colours! We will keep you updated on on journey, be sure to subscribe so you are the first to know. Looking for some baby gift ideas inspiration? While you’re waiting for the shoes, why not treat a little someone with something?